The first questioner asked about what preparations there were beforehand to arrive at the onscreen chemistry he saw between Duvall and Spacek. “Well, especially with writing like this. It helps to make it invisible. The writing is so good in this. The structure, the script, the myth, the tale. 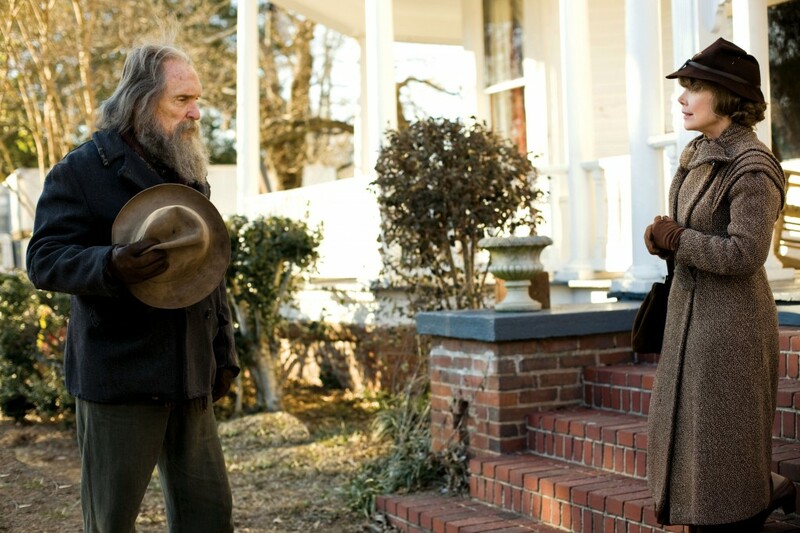 The Southern tale is so beautifully written, you just go along with it,” Duvall said. The next question asked about the characters and how they resonated with the actors. You might expect actors to focus on the characters they themselves played, but Spacek went in a different direction. “Not even 40 days,” added Duvall. “Somebody said today that there was kind of a mysticism to some of the way things went,” Duvall said. After more praise for “Get Low,” it was time to discuss newer projects for Duvall and Spacek. “I’m leaving this weekend to do, ‘The Help,'” Spacek said. Duvall hadn’t heard of the project, but it’s an adaptation of the bestselling novel that will also feature Emma Stone, Bryce Dallas Howard and Alison Janney. Another question asked Duvall about his ability to make very simple lines resonate in a way that other actors might not be able to do. The next question was about the fact that, as with “Get Low,” Duvall has sometimes worked with first time directors. “It’s okay [to work with a first time director] — it might not be okay if it’s the 50th time he’s directed,” he said. So, 50 years after “To Kill a Mockingbird,” what does Robert Duvall think about this whole business of being a movie actor? “I’ve had a wonderful career. 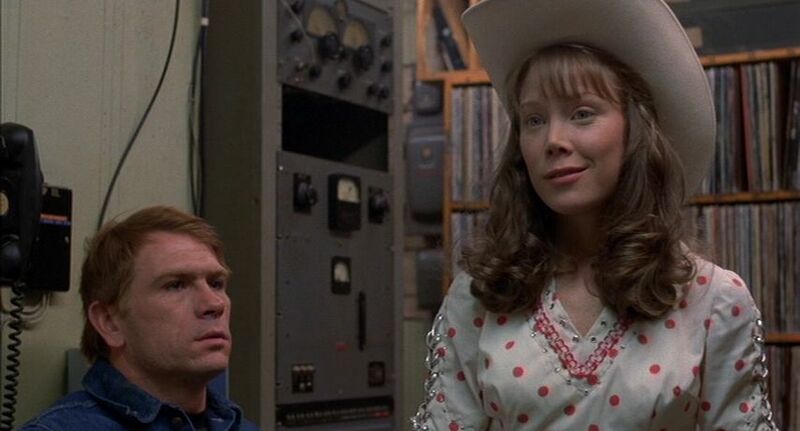 Had I only worked with Horton Foote and Francis Ford Coppola, I would have had a wonderful mini-career, but I’ve had many other opportunities as well. Horton was a friend — how many friends do you have for 50 years and stay friends? I have two or three. It’s been a good career, it’s been varied. What about preparing for roles? “She [sings] better than I do, but when I did ‘Tender Mercies’ down in Italy, Texas and all those towns. Waxahachie… ‘Waxa-by God-hachie’ we called it. I got up and sang with the local bands and see the people two-steppin’ by you and everything. Hopefully there’s not a fight breaking out in the back. You do that as your homework too, you know,” Duvall said. “That’s one of the beautiful perks. You get to do these things that you wouldn’t ordinarily get to do and people help you. It’s great. I learned to make strudel on a table where you rolled it out on the whole table,” Spacek said. “Jack of all trades, master of some,” Duvall added. Then it was this humble reporter’s turn to ask a question, and I followed up on the theme of rural roles (though I had a hard time pronouncing the words “rural roles”). Apart from the accents, what was different about portraying the kind of country-based characters Duvall and Spacek have played as opposed to more urban-roles in films like “The Godfather,” “Network” and “Missing”? “Maybe an English actor might be better than at it than a guy from New York as a Southern guy,” Duvall interrupted. 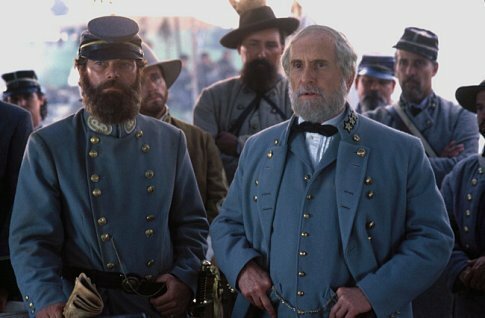 “When I played Robert E. Lee in ‘Gods and Generals,’ we brought Bob Easton back, this great dialectician from Texas. They said they wanted a Virginia accent. He said there were 12 distinct Virginia accents from the Piedmont to the coast, black and white. Many different accents. You just kind of have to hit on a flavor sometimes rather than just going for an all-out accent,” Duvall said. “And the music too,” Duvall interjected. “And the music. I’ve been so fascinated with that. When I first started working as an actress, I thought ‘I am going to break the stereotype, the Southern stereotype. We’ve gotten a bad rap. I don’t think I did it alone, but…” she paused, getting a laugh from the room. “How did he know that?” Spacek asked. Did Duvall and Spacek think there was any difference in the body language? Then, as the moderator tried to move on to the next question, Spacek had a new idea.